We had a lot of excursions planned through ISS, but my favorite ones were provided by API. Our final excursion was to Doune and Deanston. 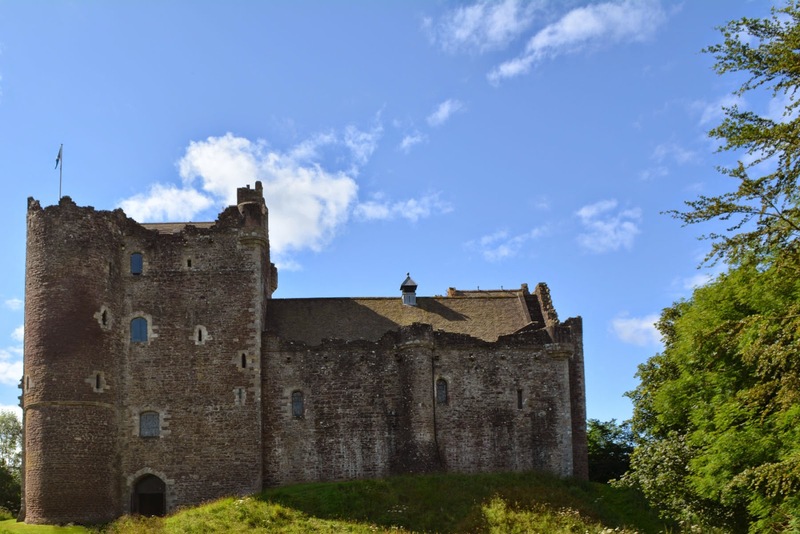 If you have been reading of our travels you know we have already seen Doune Castle. It was just a photo stop during our orientation. API provided us with tickets into the castle and we were able to listen to an audio tour as we went through. A ton of Monty Python and the Holy Grail was filmed there and it was funny to hear them play the scenes on the audio guide as we stood in the place where it was filmed. After the Castle we got a tour of Deanston Whiskey Distillery. It was a converted cotton mill which uses the River Forth to make whiskey and generate more than enough power to run the Distillery. We got to see how the Scotch is handmade and even had a tasting at the end. We have been taught in Scotland to say Slàinte mhòr! before drinking as a toast to good health. They also had free Tablet samples and provided lunch.